News update on the Laxie! The 65 Galaxie packed with a 532 inch LRE Stroker ford is getting "lightened" up this winter. Some new shiney aluminum cylinder heads, a nice roller cam, and maybe a bigger converter this winter for the LAXIE! Who knows what this monster will be capable of! 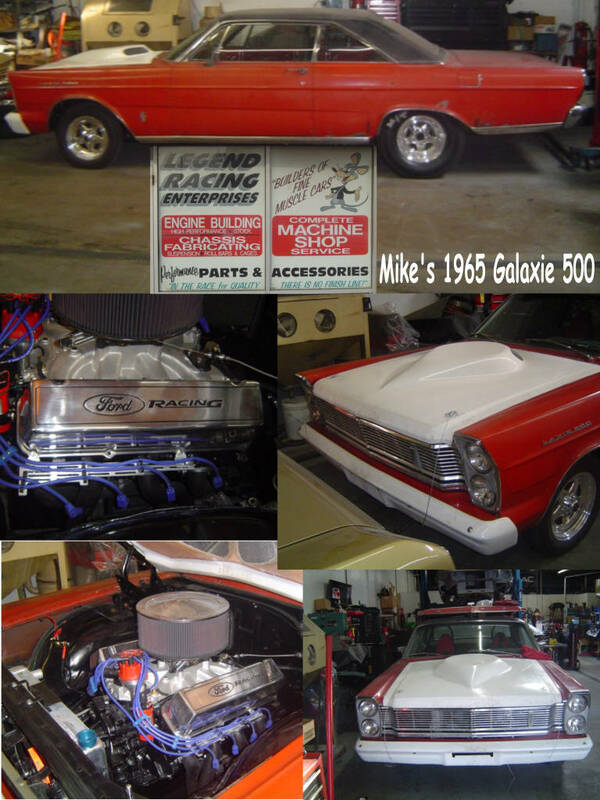 It has been a long work in progress over the past several years for the Galaxie 500 we so affectionately call the, "Laxie Gal". It is bigger,badder, and faster this year and we look forward to more updates, pictures and videos in the next few months. Heres some recent footage we have of the 4,000 pound Galaxie at Great lakes Dragaway, ripping off mid 11 second passes on motor and high 10 second passes on a small shot of nitrous. What will it do this year? Look for it at cruise nights near you!